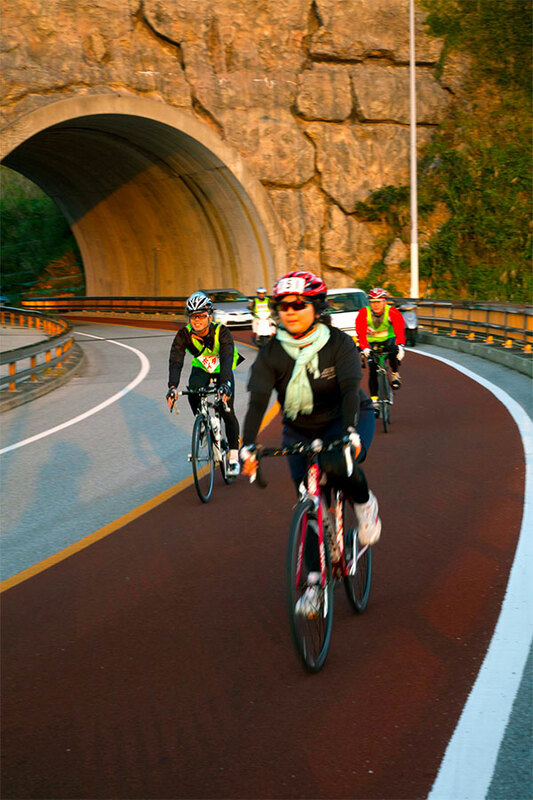 Okinawa Eco Spirit Ride & Walk is a sporting event for everyone to enjoy. The event features a variety of non-competitive cycling and walking races, all of which are designed for participants to enjoy riding or walking through Okinawa’s amazing southern landscapes dotted with some of the most important historic sites on the island as well as a variety of sacred sites and UNESCO World Heritage sites, such as Seifa Utaki and the Tamagusuku Castle Ruins. There will be three different routes for riders and five for walkers to choose from. *Registration may close early if the races reach capacity. *Participants in the walking events ages 5 and under must be accompanied by a guardian/adult; parental consent is required for minors under 18 years of age.